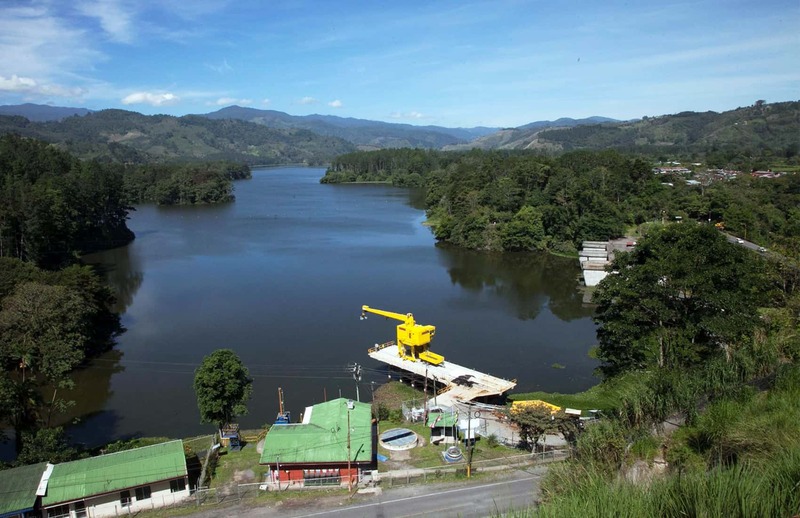 Despite severe drought conditions across most of the country, 97 percent of electricity generated during the first three months of this year came from renewable sources, the state-run Costa Rican Electricity Institute (ICE) reported Friday. Executive president Carlos Manuel Obregón said the figure is remarkable considering it was achieved during the country’s dry season and following a rainy season marked by a high precipitation deficit. The country generates most of its electricity using hydroelectric power plants. Obregón said the strategic location of ICE’s reservoirs allowed it to maximize rainfall collection, mostly from the country’s highlands and the Caribbean region. The Caribbean received higher than average rainfall last year, unlike most of the rest of the country. Last month ICE’s most ambitious project, the Reventazón hydroelectric project, went online, with the first of its five turbines generating electricity for the national power grid. Obregón said the progressive entry into operation of the other turbines would bring more clean energy to the power grid in the coming months. Costa Rica’s electricity matrix consists almost entirely of five renewable sources: hydro, wind, geothermal, biomass and solar. ICE now considers fossil fuels a backup energy generation source. Most of the electricity (66 percent) generated from January through March came from hydroelectric power plants. Wind farms generated 16 percent, geothermal added 14 percent, biomass 2 percent and solar 0.02 percent. Power companies used thermal plants to generate just under 3 percent of the country’s electricity needs during the first three months of the year. Last year, Costa Rica made headlines worldwide with two, long clean energy streaks. In March, the country ended 75 days of running the grid on 100 percent renewable sources, and in August it broke that record by running 94 days on purely renewables. During the May to August streak, some 78 percent of the country’s electricity came from hydroelectric power plants; 12 percent from geothermal sources, 10 percent from wind power; and 0.01 percent from solar. Earlier this month, the country launched a new program that allows consumers who have solar panels or other renewable generation systems to store their surplus power in the national grid.